"Hughton's men are a very tough nut to crack but perhaps lack that cutting-edge or bit of real quality in attack to win on the road against the better opponents in the division, while Wednesday also drew 17 times this season." Wednesday were beaten 2-1 at Wolves on Saturday which may not look the ideal preparation for their biggest game of the season but, having made ten changes to his starting line-up for that one, Carlos Carvalhal wasn't particularly perturbed afterwards and claimed his unfamiliar-looking side had been the better team in the second-half. 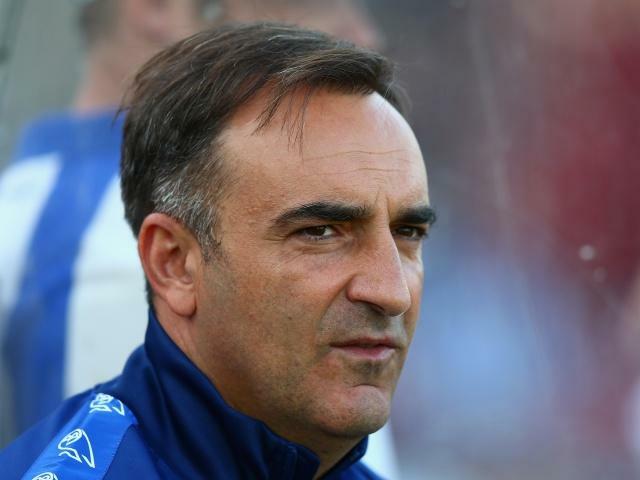 The defeat interrupted some of the momentum Wednesday had built up following a run of just one defeat in eight games and that impressive 3-0 win at Hillsborough over Cardiff the previous week, which secured their play-off spot. Keiren Westwood, Tom Lees, Kieran Lee and leading scorer Fernando Forestieri all had the day off while skipper Glenn Loovens, Gary Hooper, Barry Bannan, Jack Hunt and Alex Lopez were named on the bench - all ten can be expected to return to the starting line-up here fresh and raring to go. Chris Hughton's men came up short in the end at the Riverside, cancelling out the home side's early opener but proving unable to find the winner which would have earned automatic promotion. Midfielder Dale Stephens was sent-off four minutes after his goal levelled things up and will miss both games against Wednesday and the final should his side get there. Lewis Dunk is also suspended here but will be available for the return at the Amex on Monday night. The draw means that the Seagulls are now unbeaten in 14 games (nine wins and five draws) but they'll have to break their Championship play-off hoodoo. This is the third time they've taken part in the semi-finals in the last four seasons but they failed to make it to Wembley on the previous two occasions, comfortably losing to Derby in 2014 and being outhought and outfought over two legs by bitter rivals Crystal Palace a year earlier, when they had finished in third place. Before considering your bets for any of the Championship semi-finals, it's definitely worth checking out this excellent analysis by trader Alan Thompson and noting the trends he highlights, particularly regarding first-leg results and goals. He points out that home teams have won just two of the last ten first legs but Wednesday - who suffered only two defeats at home all season - are still favourites in this one at [2.5] with the visitors available to back at [3.2] and the draw the marginal outsider at [3.25]. And it's the biggest price of the three which attracts me for a number of reasons. We know Albion don't lose many away from home (just two of their 23 matches in the regular season, which was less than any other side, but they only won nine of the remainder, drawing 12 games on the road - two more than anyone else in the division). That point at Middlesbrough last Saturday also meant they completed the full house of drawing at each one of the other sides in the top six this season - Hughton's men are a very tough nut to crack but perhaps lack that cutting-edge or bit of real quality in attack to win on the road against the better opponents in the division. Wednesday also drew 17 times this season - the same number as their opponents (only QPR with 18 stalemates had more) - and they didn't manage to beat any of the top five, home or away. One final interesting nugget I found is the home side have not lost any of their last 14 games when over 30,000 have packed into Hillsborough - a run stretching back a decade now. So given the importance of not losing this tie in the first leg, another draw between these two pretty evenly-balanced sides is the value call and that's the recommended best bet. Despite five goals in the two matches last year, goals have been scarce in these Championship play-off semi-finals. In the six previous seasons, the first legs had seen just 14 goals in the 12 fixtures - an average of 1.16 per game. It's pretty obvious that with so much at stake nobody wants to throw away their chance of a trip to Wembley by going too gung-ho in the first leg so unders is as short as you would expect at [1.64] with overs available at [2.44]. And with no away goals rule in the play-offs, there's little incentive for the away side to commit too many men forward if they are confident in their ability to get the result at their place in the second-leg. When we also note that both clashes between this pair in the regular season ended 0-0 then it becomes fairly clear some kind of low-scoring contest is the most likely outcome - it might seem a bit of an obvious pick but if the two sides do play out a third goalless draw of the season I'll be kicking myself if I've not backed it!